I am so very excited that you are finding comics for your future classroom. I remember getting in trouble for bringing comics to school and not they are becoming accepted as a good reading source. I wish could see my old teachers' faces as they find out that comics are a positive thing after all. 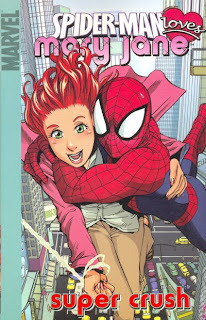 Bravo on picking Spidey Loves Mary Jane. It is a really good comic for the age range. Keep up the good work.